This article by Nick Alexandrov is re-posted from CounterPunch. 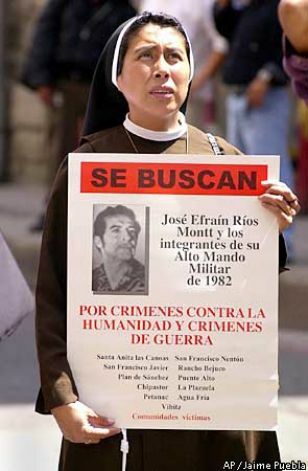 Editor’s Note: The information in this article is not only important, since he could expose the US role in supporting the genocidal policies of former Guatemalan President Rios Montt, it could result in setting a legal precedence that has significant ramifications for Guatemalans living in the US. There are currently an estimated 4,000 Guatemalans living in West Michigan. 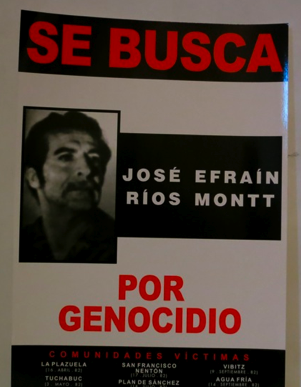 Should Montt be on trial or America? it is common practice for American subversives associated within the confines of the corridor of power, to establish criminals or the inept to rise with bribery to the Halls of fame, it is time for a change of this hypocrisy, that is now in plague proportions that is delinquent to the ecological well being of our Planet. The traditional method of Kings and Queens and the rest of the ruling class has been a resolution of problems by force, violence and dictatorship, it appears the residue within the human psyche, for vindictive and nastyness is still a force to be reckoned with.